Gloria Kui Melwani is Of Counsel to Wolf Haldenstein. Ms. Melwani has expertise in complex class actions representing clients including institutional investors such as public and labor pension funds, labor health and welfare benefit funds, and private institutional investors who suffered losses due to corporate fraud. She is a member of the Business Practice and Investor Protection practice groups with an emphasis on securities litigation, derivative litigation, transactional litigation, and copyright, IP & public domain protection. Represented shareholders in their efforts to make significant corporate governance changes in the companies they invest in. Shareholder actions were brought in Delaware Chancery Court and the New York Commercial Division for matters including breach of fiduciary duty and breach of state fiduciary duties in cases such as Seinfeld v. Barrett, 1:05-cv-00298 (D. Del. ); Resnik v. Woertz, 1:10-cv-00527 (D. Del. ); In re Invacare Derivative Litigation, 1:11-cv-01893 (N.D. Ohio). Represented shareholders in state and federal courts in seeking corrective disclosures in proxy statements regarding executive and director compensation, and material information regarding mergers and acquisitions. Represented historic class action that challenges the copyright to “We Shall Overcome,” a song that the Library of Congress has called the most powerful song in the United States history. We Shall Overcome Foundation v. The Richmond Organization, Inc.
Ms. Melwani is a co-founder of the Women’s Entrepreneurial Plaintiffs Lawyers Network (“wePLn”), a group for women attorneys to foster collaboration, business development, and career growth. WePLn events and meetings are sponsored by Wolf Haldenstein. Ms. Melwani is a member of the Chamber Music Committee of the New York City Bar Association. 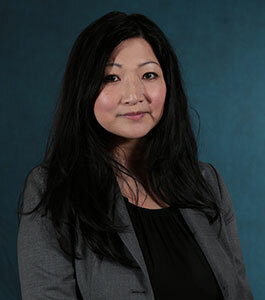 Ms. Melwani is a member of the New York State Bar Association, the New York City Bar Association, the Asian American Bar Association of New York.